All modern browsers have a private browsing mode, but Mozilla launched Firefox Focus last year to go a step further. This blocks ads and shreds your browsing history after each use. It's all about privacy, and that's why the developers are in the process of switching browser engines from WebKit to Gecko. You can try the new version now, too. Mozilla suggests that using the Android WebView engine could result in data leaks. Gecko is the engine used in Firefox, so it comes from Mozilla itself. One of the developers suggests this opens up new features to Focus like better private browsing and blocking trackers—things Google would not integrate into Android WebView. 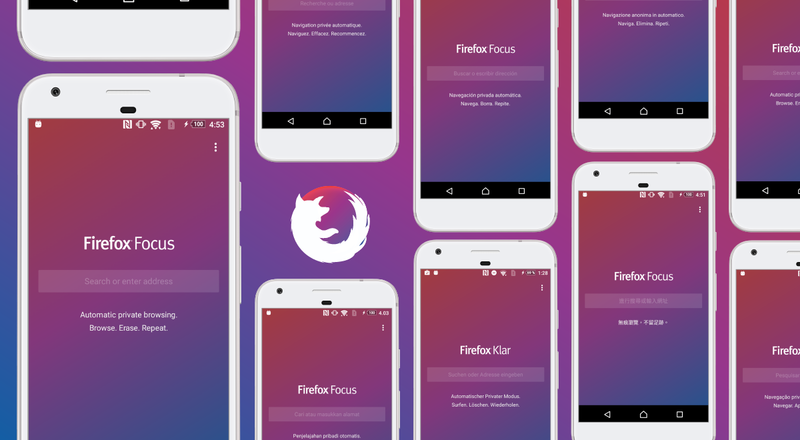 Gecko builds of Firefox Focus are live in the Nightly channel right now. You can opt-in to get Nightly builds by joining the Google Group. After that, just join the test in the Play Store. That's also where you'd go to get the beta version if you aren't in the Nightly group. The Nightly builds are likely to be buggy, but beta and stable builds will get Gecko eventually.